Are you in need of unique professional transportation to your next event with a party bus in the Southampton area? 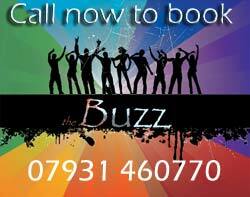 the Buzz ultimate party bus caters to any event, choose a party bus from our range to suit your needs, either our two 19 seater buses, The black Buzz party bus, or silver Toyota caetano optimo 5 Boogie bus. Or choose our 16 seater pink Boogie nights Van hool Man which comes with Nintendo Wii and an air hockey table and is ideal for kids parties. Remember it's your Party Bus hire - so we can pick you & your friends up anywhere in Southampton and the surrounding areas - why not enjoy the night life with transportation to one of Southampton's many clubs or fancy a bite to eat and visit one of the many restaurants, cafés and bars. If you want your evening to be a hit then give us a call and let us worry about the transportation. 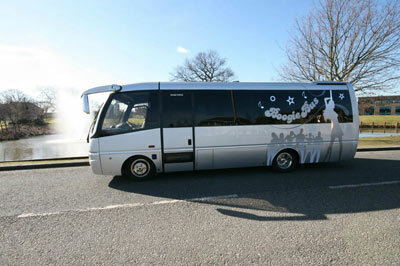 Our party buses can carry up to 19 of your friends, its definatly the coolest way to travel and arrive at your venue. With an awesome 3000 watts sound system, bubble machines, disco balls and laser lights and dance poles, dance floor, Karaoke, DVD, sound system Nintendo Wii, air hockey table and tv screens, it’s your very own party on wheels. The benfit of using the Buzz ultimate party bus means when your night is done you don't have to worry about getting home or calling and waiting for a taxi. When it comes to having fun, the Buzz is certainly the ultimate party bus company to choose and the only way to party and travel. Our party buses are Ideal if you are travelling a long distance or have a large party group. To ensure you have the best possible evening all we request is there is no smoking permited or food consumed on our buses. Guests are asked to take care with any drinks to avoid spillages. A valet charge will apply in the case of any damage. We also reserve the right to refuse admission to anyone deemed to be acting in an unacceptable manner.